Hanoi (VNA) - The State Securities Commission (SSC) has endorsed the ceiling foreign ownership level at the Vietnam National Petroleum Group (Petrolimex) at 20 percent as approved by Prime Minister Nguyen Xuan Phuc last year. The SSC’s document, issued on April 18, came just three days ahead of the company’s debut on the HCM Stock Exchange. Petrolimex will list more than 1.29 billion shares worth a total of VNĐ12.94 trillion (567.5 million USD) on April 21 under the sticker PLX. The reference price on the first trading date is 43,200 VND (1.9 USD) a share and is allowed to rise/decline by a maximum of 20 percent. At this price, Petrolimex’s market cap is estimated at around 2.45 billion USD after debuting, making it the fifth largest listed company on the HCM Stock Exchange. Two stakeholders hold 83.87 percent of Petrolimex’s capital, of which the Ministry of Industry and Trade has 75.87 percent and JX Nippon Oil & Energy Co Ltd, a member of the Japanese energy group JX Holdings, owns 8 percent. On its prospectus on April 17, Petrolimex reported its foreign ownership at roughly 8.18 percent, which means foreign investors can buy 11.82 percent of the energy company’s capital after listing. In a shareholders’ meeting in March, Petrolimex’s chairman Bui Ngoc Bao said the Japanese firm would be the only strategic investor in Petrolimex and it might upstake its ownership to 20-25 percent. In Late 2015, JX Nippon Oil & Energy spent 39,017 VND per share to purchase 13.5 million shares issued by Petrolimex worth a total 4 trillion VND. This investment is considered profitable for the Japanese company as its purchase price is lower than Petrolimex’s reference price of 43,200 VND apiece on April 21. 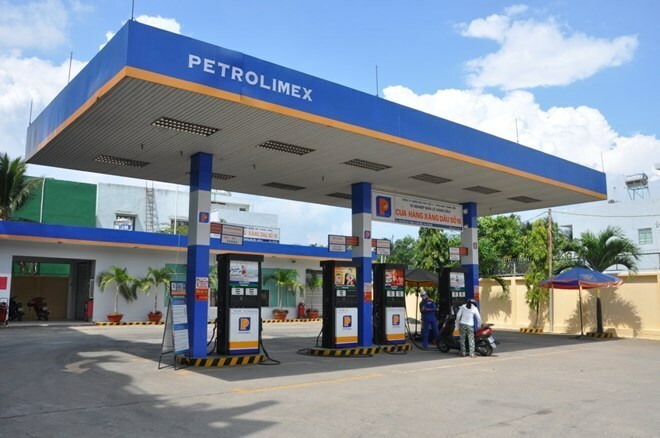 Petrolimex is the biggest petroleum dealer in Vietnam, occupying 48-50 percent of the market. The petroleum business unit contributes 50 percent of the group’s earnings. It posted total revenues of over 123.1 trillion VND and pre-tax profits of 6.3 trillion VND in 2016, the highest since its establishment. The company has proposed to the Ministry of Industry and Trade the 2016 dividend rate of 32.24 percent, equivalent to total payment of over 3.7 trillion VND, or 80 percent of its 2016 net profit. The petrol dealer has targeted total sales of 143.2 trillion VND and pre-tax profits of nearly 4.7 trillion VND in 2017, up 16.3 percent and 17 percent year-on-year, respectively.